Contact tech@maxprograms.com to request patches that solve problems listed as fixed in releases not published yet. Improved support for SDL CMS. Used @href as fallback mechanism when the key referenced by @keyref doesn't exist. Logged files that are referenced from maps/topics but are ignored because they contain @translate="no" attribute in the root element. Improved filtering of resources marked with @translate="no". Fixed entities handling in ignored elements. Implemented automatic generation of inline tag errors in HTML format. Fixed handling of nested inline elements marked with translate="no" that contain XML entities in the text. Fixed CLI (Command Line Interface) launcher script on Linux. Stored custom catalog settings in preferences folder to avoid reconfiguration in future upgrades. Improved support for filtering with .DITAVAL files. Fixed support for SVG images that were damaged when cleaning default attributes. Ignored @translate="no" when checking for actually used keys. Ignored XML errors when attempting to parse images. Added support for DITA files exported from SDL CMS. Fixed handling of untranslatable @keyref nested inside untranslatable @conref. Allowed update of memories from unapproved segments when "Accept Unapproved Translations" is selected. Fixed handling of translatable attributes in inline elements. Improved generation of <ph> tags for better matching. Fixed regression error with empty content in elements with @conkeyref attribute. Fixed fluenta_cli.bat, used in Command Line Interface (CLI) on Windows. Emptied content of elements with @conkeyref attribute. Implemented support for XLIFF 2.0. Adopted translation configuration for the 600+ DITA elements defined in Appendix B.6 of DITA 1.3 All-Inclusive Edition. Implemented automatic configuration of elements defined in custom DITA specializations. Implemented support for @translate="no" in inline elements. Added count of not translatable words to word count report. Added option for cleaning default attributes in translated files when importing XLIFF. Improved filtering with DITAVAL files. Restored support for @translate="no" at block level. Removed requirement to open port 9080 in firewalls for registering licenses. Updated DITA 1.3 grammars to Version 1.3 Errata 01. Improved handling of undefined keys. Fixed support for format="html" and scope="external" when harvesting keys. Restored support for @conref resolution in files with multiple topic elements. Added option to accept unapproved translations when importing XLIFF files (improves compatibility with XTM and Trados Studio). Added option to ignore tag errors when importing XLIFF files. Avoided infinite loops when parsing relationship tables. Fixed word counts for Chinese. Fixed support for "nextCatalog" in XML catalog manager. Improved support for DITA projects that contain files in multiple character sets. Added more translatable elements to configuration files. Avoided infinite loops caused by recursive key definitions. Added support for extracting context text from <topicmeta> elements when @keyref is used in an empty element. Improved detection of broken keys. Added report of duplicate @key definitions. Translated the Graphical User Interface (GUI) to German, Japanese and Spanish. Automatically removed extra markup added by SDL Trados Studio to XLIFF files from Fluenta. Preserved content of elements with @conref or @conkeyref attributes when importing translated XLIFF. Fixed error parsing DITAVal files when generating XLIFF. Fixed handling of <url> elements. Fixed harvesting of keys from secondary maps. Fixed handling of @href in <chapter> elements. Added option to edit memories. Marked @navtitle as translatable in <chapter> element. Fixed bug in @conref resolution. Implemented conditional processing with .ditaval files when generating XLIFF. Fixed import of custom catalogs. Improved configuration files for DITA 1.2. Implemented support for push replace. Fixed conref support in DITA map filter. 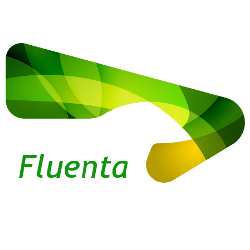 Download Fluenta and try it for free during 30 days. All functionality is enabled during the evaluation period.